This episode is about a true story that is interesting and well told — a story that is important for all leaders and entrepreneurs … especially those of us who aspire to use business not only to make a living for ourselves but to help make the world a better place. Everyone wants to be fulfilled by their work. We want to feel like we’re doing something valuable and making the world a better place. And if we can live out our passion too, well, that’s the dream. We want to work with a team that’s engaged, in a place where we can come alive, and contribute to something bigger than ourselves. 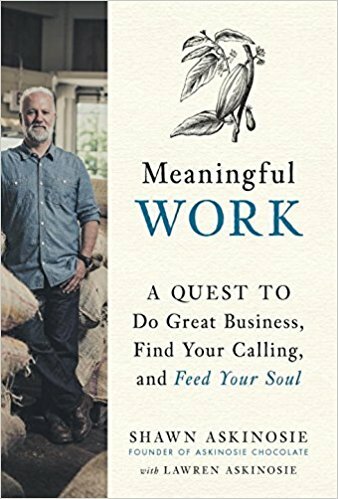 In Meaningful Work: A Quest To Do Great Business, Find Your Calling, And Feed Your Soul, Shawn Askinosie shares that not only is all of this possible, it’s imperative for the success of our economy, our businesses, and ourselves. Whether you’re an entrepreneur, executive, or team leader, it’s possible to imbue your organization — and employees — with purpose. 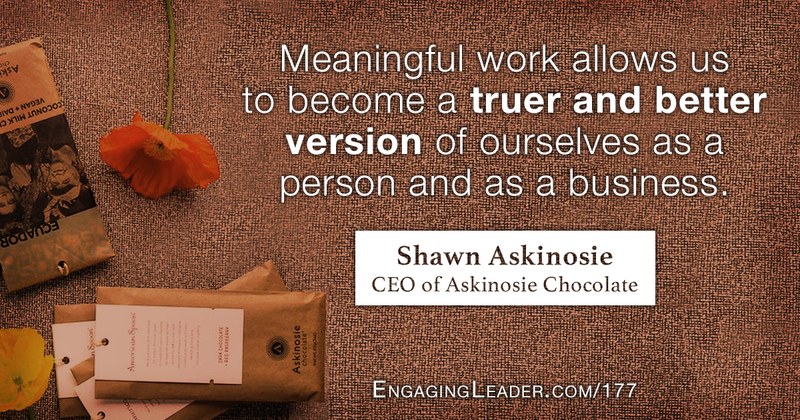 In 2005, Shawn Askinosie left a highly successful career as a criminal defense lawyer to start a bean-to-bar chocolate factory and never looked back. Askinosie Chocolate is a small-batch, award-winning chocolate factory, sourcing 100% of their beans directly from farmers. Recently named by Forbes “One of the 25 Best Small Companies in America,” Askinosie’s business model has been featured in The New York Times, The Wall Street Journal, and numerous other media. Shawn was named by O, The Oprah Magazine, “One of 15 Guys Who Are Saving the World.” For his efforts in “Advancing food standards… by creating social, economic, and environmental impact”, Shawn was awarded Top Business Leader of the Year in 2013 by the Specialty Food Association. Shawn has been awarded honorary doctorates from University of Missouri-Columbia and Missouri State University. In 2015, Askinosie Chocolate was awarded a complimentary membership to the Clinton Global Initiative for the company’s social efforts around the world.